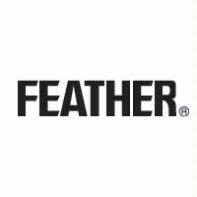 This is the 'light' version of the Feather Cartridge Razor Blades which are suitable for the Feather Cut Throat Razors that use disposable razor blades. They differ from the more common Feather Professional Blades in that they have a blade exposure of only 0.6 mm and a thickness of only 0.25 mm. It is these dimensions that give these blades their 'light touch' on the face, they are not nearly as aggressive as the Feather Professional Blades. Not sure what to do with these blades? Click here to browse our Shavepedia to find all the information you need to get the perfect shave.